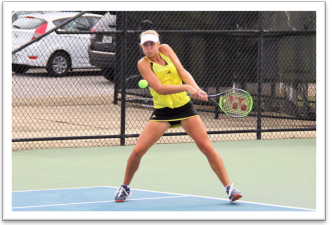 Following on from Emily’s success in Argentina last month, Emily took her second ITF Pro title – this time the Doubles in the $15k Shipyard Cup in Hilton Head, South Carolina. Partnering Caty McNally from the US, the pair saved a match point in round one of the tournament; beat a former Australian Open Doubles Champion (Bondarenko) in the second round and in the quarterfinals they were a set and 0/4 down but came through to win. So it was no easy ride but the pair thoroughly deserved the title for the grit and determination they displayed! 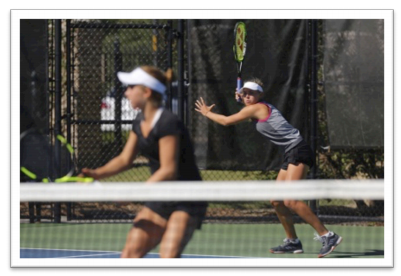 From Hilton Head, Emily travelled to Sumter, also in South Carolina, for the qualifying tournament of the $25k Pink Open. Despite being a level up from the previous tournament and a change from clay to hard court, Emily approached this event with determination and fight. She won through the first two rounds of qualifying only dropping a total of one game to set up a meeting with the no 1 seed, Caitlin Whoriskey of the US who has career high WTA ranking of 268. Emily lost the first set 6/2 but she dug deep and secured the second 6/3. The third set Emily went 3/5 down but she fought again to level at 5/5 and then took the tiebreak 7/3 so earning her place in the main draw. In the main draw, Emily drew a fellow qualifier. This seemed like a promising draw – until she discovered that the woman, Jessica Pegula from the US, had a career high ranking of 123 WTA so a tougher match than she had hoped for and Emily bowed out 2/6 4/6 but had fought well. From Sumter, Emily travelled to Florence, South Carolina, for another $25k qualifying event. The standard of this tournament was another level up with many of the top-level players using it as a warm up event for the $80k Pro Series events, which are about to start. Emily played Raveena Kingsley in the qualifying tournament and put up a good fight but lost a tight match 5/7 4/6 to the older more experienced player. However, in the doubles she teamed up with Francesca Di Lorenzo from the US and having qualified, they put out the no 3 seeds, Mueller and Chang (USA), an established and highly experienced pair, and so earned a place in the quarterfinals. Here they met Santamaria (USA) and Zacarias (MEX) who just proved to be too strong on the day. So a good four week run in South Carolina resulting in some great matches, a career high ‘scalp’ in Sumter, a quarterfinal placing in the $25k in Florence and a second ITF Pro title in Hilton Head. A few days now to rest and reset then it’s back onto the clay and a few more Pro events before the year end.